local community and youth groups made through the organisation’s recent filmmaking and training programmes. 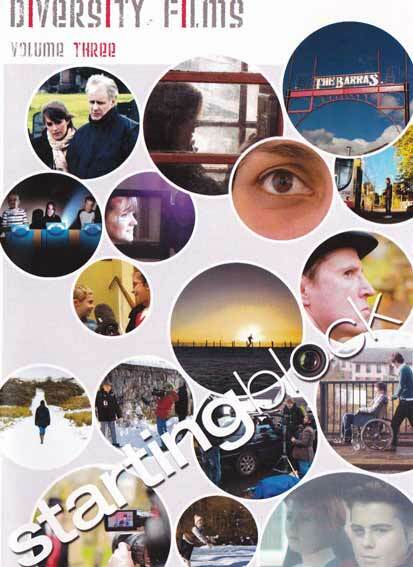 2010 saw the launch of Starting Block, a film scheme open to first-time filmmakrs to receive their first commission. With subject matter ranging from disability to burgeoning sexuality, from alcoholism to autism, and from farming to ultra-running, this diverse mix of films showcases not only inspiring emerging talent but a series of captivating snapshots of Scotland today. Also included in this volume are films created through our West Side Stories and Good Stuff programmes, Creative Identities, as well as individual film projects produced throughout the year. Copies are available from Diversity Films with a suggested donation of £10. 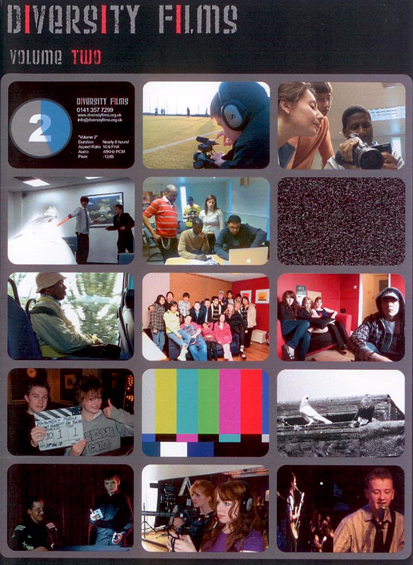 In 2009, Diversity Films saw a flurry of activity and films being made, primarily from the brand new training and mentoring programme which ran across Glasgow. 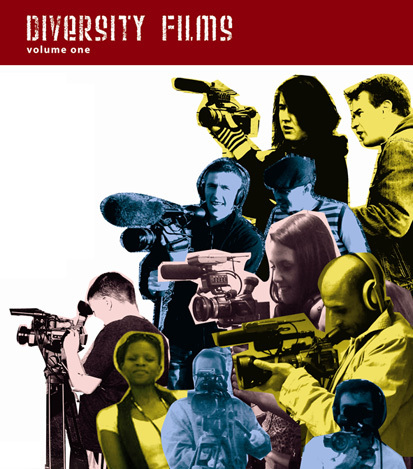 Resulting from the work of over 100 new and emerging filmmakers, Diversity Films Vol #2 is jam-packed with wonderful experiences ranging from engaging wee gems to chat-shows, half hour documentary epics, music promos and Diversity Films’ first drama. Diversity Films Volume #1 contains the first crop of films from the Community Filmmakers Project which was set up to nurture, train and develop new filmmakers in and around Glasgow. Ranging from one – minute snapshots to half hour documentaries and chat-shows created by over 80 people, aged 9 to 72, this is a truly inspiring watch. If you wish to make a donation, please send a completed Diversity-Films-Donation-Form to Diversity Films along with your preferred amount.